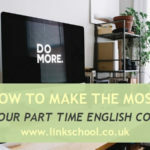 Home / Blog / Link School of English / English Courses at Link School / Individual English lessons or group classes? These are some of the issues that you need to think about before you decide if you want to take private English lessons or group classes. Now, let’s have a closer look at these factors. 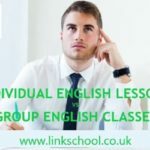 Should I Choose Individual English lesson or group classes? Group classes are usually designed for more general or popular needs of English learners and can provide very useful training for many students. However, if you want to focus only on selected language items or specific skills, then you can do it more quickly with a personal tutor one-on-one. Group classes are usually scheduled at fixed times. This may be a problem for those who work irregular hours, travel or have many other commitments. Individual English classes can provide more flexibility in scheduling of the lessons. If you are in a real hurry to learn or improve your English skills or do a quick revision before an English exam, then it would probably be a good idea to take private lessons. There is little that can beat the instant feedback and tailored learning that happens in a private lesson. The teacher can correct you as many times as it’s needed and will focus on your mistakes and gaps. The teacher will look for a way to make you understand quickly. That kind of personal attention is almost not possible in a larger class. If you have plenty of time, and no deadlines to fulfill, then you can consider group learning. This can also be more enjoyable as it is a more social way of learning. You don’t get so much personal attention from the teacher, but if you pay attention, you will learn from the mistakes of your classmates. There is also the element of competition, as you will measure your progress by seeing how others are progressing. Private lessons may not be the right option for you if you get bored easily. You may find it too hard and give up. This could also happen in a group class. There is no easy answer to this factor. 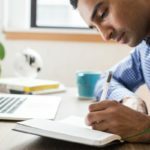 You need to make sure you are motivated enough to learn English. As they say, ‘you can take a horse to water, but you can’t force it to drink’. If you end up just chatting to other students and not paying attention to the teacher, you won’t learn much and you will waste everyone’s money, by slowing the class down. The teacher should not have to explain just for you all the time, when others have understood, because they were listening. In this case you should take private lessons or be more focused on learning. You may also need to consider your own personality? Are you a shy or over-sensitive person. Does it bother you if you make mistakes in front of classmates? There is no point in going to a class if you are not going to speak or interact, just because you are afraid of looking silly or stupid. You need to deeply understand that it is OK to make mistakes, it is part of learning. If someone laughs at you, they are silly and out of line, not you. Apart from that, a good teacher will ensure to create a friendly class atmosphere where even a shy person will feel comfortable. If you are too lazy or simply don’t have enough time to do at least your homework, let alone extra study, you may benefit more from private lessons. They are more concentrated and could help you make progress even if you don’t do much self-study. On the other hand, if you have a lot of time and can study a lot outside of the class, your teacher will be able to give you and review more homework than with the group. Finally the money question, what’s your budget? Private lessons can be expensive. You need to discover your personal learning style, check your level of motivation and concentration capacity. Then decide what you want to do. Remember you can combine the two types of learning to suit your budget. 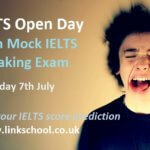 There are some of the matters to consider when choosing the best English course. 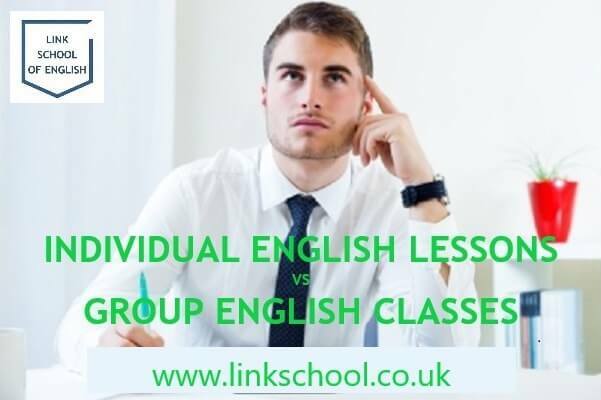 Apart from that, remember that you can always combine both – individual English lessons and group courses. 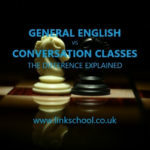 What experience do you have with one-to-one and group classes? What are the most important differences or advantages for you? Share your thoughts in the comments below. 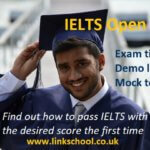 – How to choose a good English language school?